It’s the most wonderful time of the year, and the day everyone’s been waiting for is almost here! It isn’t Christmas or New Year’s, it’s Kickoff Day! 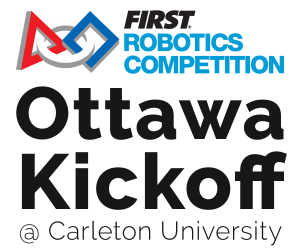 Join CU FIRST and the FIRST Ottawa Community at Carleton University on Saturday January 4th as the 2020 FIRST Robotics Competition (FRC) game is revealed to the world! We’ll be watching the live broadcast from FIRST Headquarters in Manchester, New Hampshire, and kicking off Build Season by diving into the Rules of the Game, hosting Strategy Sessions, and uniting the teams from Ottawa and surrounding area in the spirit of cooperation and friendship. A huge thank you to the Carleton University Faculty of Engineering and Design, who will once again be the Presenting Sponsor of this year’s Kickoff and continues to be a strong supporter of FIRST growth in the National Capital Region. Underground Parking Lot P-16, located under Richcraft Hall, will be open for all attendees. Complimentary All-Day Parking Passes will be distributed to all drivers on the day of the event, and will be available upon request from any CU FIRST Member. One of our Members will also be standing at the entrance to P-16 on University Drive, and will hand out passes as vehicles enter the lot. All parking lots on the Carleton campus, including P-16, require proof-of-payment displayed in the front windshield, therefore, all vehicles must have a Parking Pass visible at all times while in the lot. 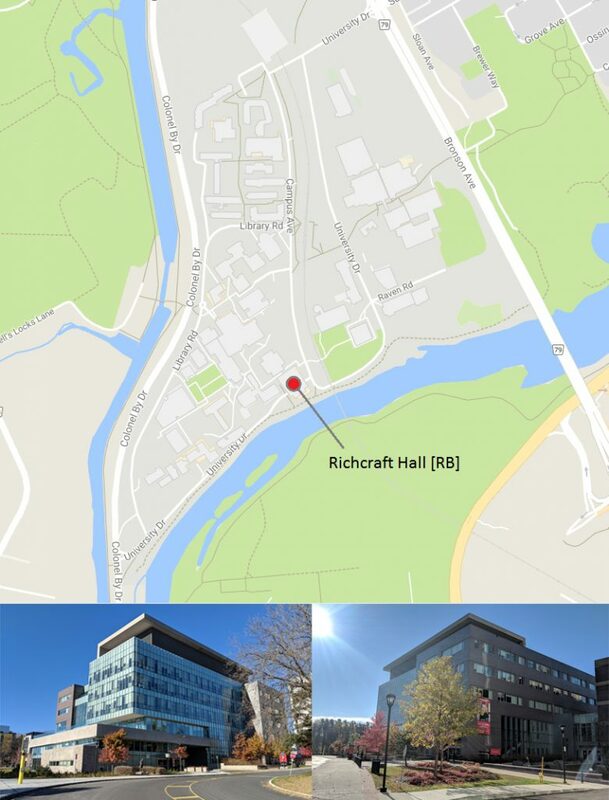 Parking Lot P-16, located beneath Richcraft Hall [RB], is indicated on the Carleton Campus Map above. Early January mornings can get a bit chilly, so we’re happy to offer complimentary hot beverages for all attendees! Tim Horton’s Coffee and Hot Water for Tea will be available on a first-come, first-served basis when doors open at approximately 8:30AM. Milk, Cream, Sugar, Sweetener, cups and lids will all be provided. Thanks to the generous sponsorship by the Carleton University Faculty of Engineering & Design, all attendees will be treated to a free Pizza lunch, including a variety of Soft Drinks. If any individuals have special dietary needs or restrictions that need to be met, please contact the CU FIRST Kickoff Director, to make special arrangement. We’ll do our very best to accommodate any requests, as long as advanced notice is provided. 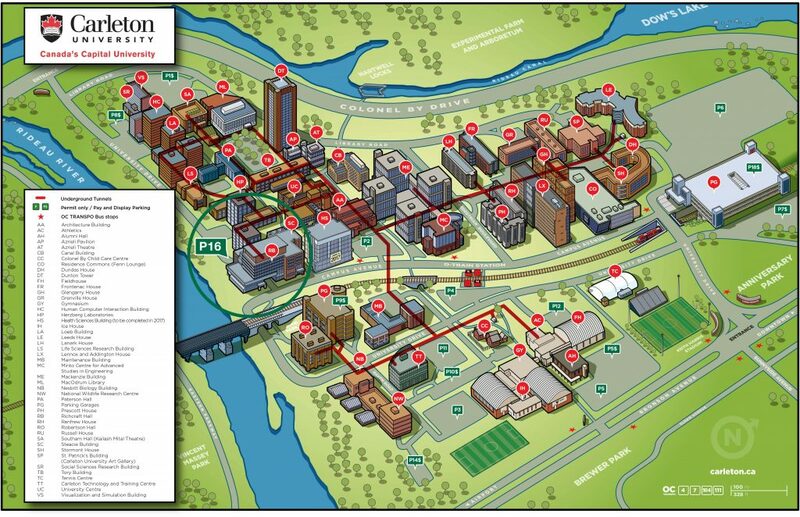 Note: Per Carleton University policy, all food served on-campus must be provided by Aramark and their affiliated on-campus vendors (Tim Hortons, Pizza Pizza, Subway etc. ), unless special permission is given. Food ordered through off-campus vendors is not allowed. Remember to download the encrypted game manual and kit checklist ahead of time!